I bought TESO on the promise of its open world PvP, but my attempts to engage it on an ongoing basis have been sabotaged by the instability of the Mac client, which crashes every 10-15 minutes in Cyrodiil. While this period has been extended somewhat by recent patches (it now crashes every 20-30 minutes) it has led me to focus on the PvE side of the game, which was enough to hold my interest until level 50 (VR1). I finally bit the bullet and partitioned my Mac, and installed TESO on the Windows side. I can finally PvP without crashing, and more importantly, I can PvP with groups in Cyrodiil instead of having to go solo ganking. I can finally dive into the campaign with both feet, without having to worry about compromising groups by random crashes in potentially decisive moments. "Those of you who participated in the Scourge campaign have likely noticed that it is no longer available following our deployment of Update 1.1.2 today. During the maintenance, we added a new campaign with a 2-week duration. In light of this new campaign, we intended to close Scourge—but not quite so soon. An error in our update process ended the campaign prematurely on the North American megaserver and before we could give you adequate warning." To say that this is a /facepalm moment is a massive understatement, but I couldn't help but laugh. If you want to peruse the understandable anger this debacle wrought, just follow the link above to the official forums. Taken on 7 June 2014 1048 Japan Standard Time, which translates to 2148 Eastern Daylight Time. US East Coast Friday evening. Wabbajack is full, Bloodthorn is almost full, Auriel's Bow is dominated by AD, and the rest of the campaigns have low populations. The Altmeri Dominion are yellow, the Daggerfall Covenant is blue, and the Ebonheart Pact is red. Bees, blueberries and raspberries. 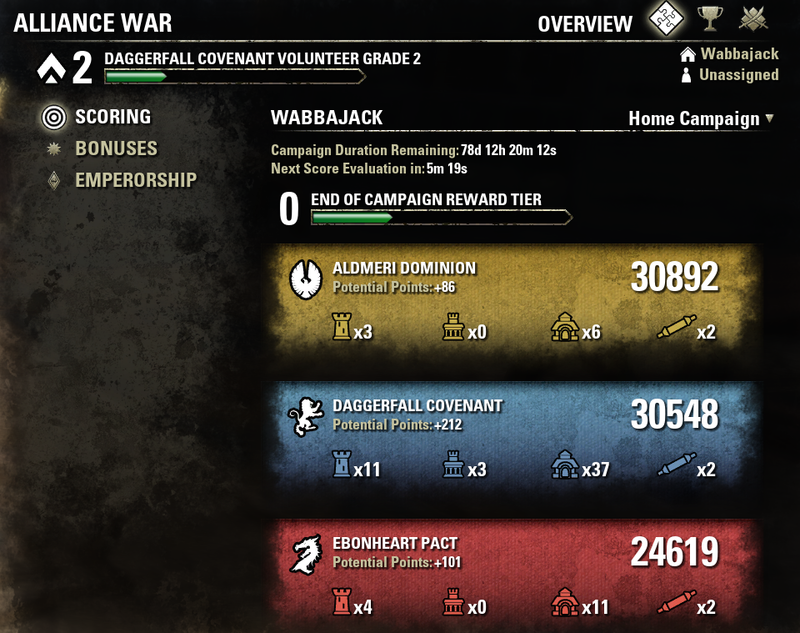 I have been tracking the populations of the campaigns via twice-a-day screenshots, and it appears to me that out of all the remaining 90 day campaigns the most active is Wabbajack, followed by Bloodthorn. The rest are much lower by comparison. Matt Firor stated that the maximum number of players allowed in Cyrodiil is about 1800, with each faction allowed to bring up to 600 players. Assuming this number is correct, we could say that one bar equals 1-300 players, two bars approximately 301-599, and a locked symbol denotes that the population is capped at approximately 600. This is pretty good, considering that the biggest battle ever fought in MMO history occurred in EVE Online in July 2013, where over 3000 to 4000 players fought a massive battle in 6VDT-H (with many more waiting in the wings to warp into the system). 1800 might be less than half that number, but at least TESO players are not playing in 10% time dilation. Well, most of the time anyway. Lots of players still complain about lag, but the TESO client on Windows has run beautifully for me for the vast majority of the time. This still doesn't let Zenimax off the hook for the unstable Mac client, though, which is a piece of crap by comparison. As alluded to above, I have been religiously taking screenshots of the map, the scoreboard and the population at approximately 7 am and 7 pm Japan Standard Time (JST) everyday since 9 April 2014. This date coincides with the first day my gaming group entered Cyrodiil for the first time. Up to this point, from early access onwards AD had been dominating the campaign, with DC coming a close second and EP in last place. 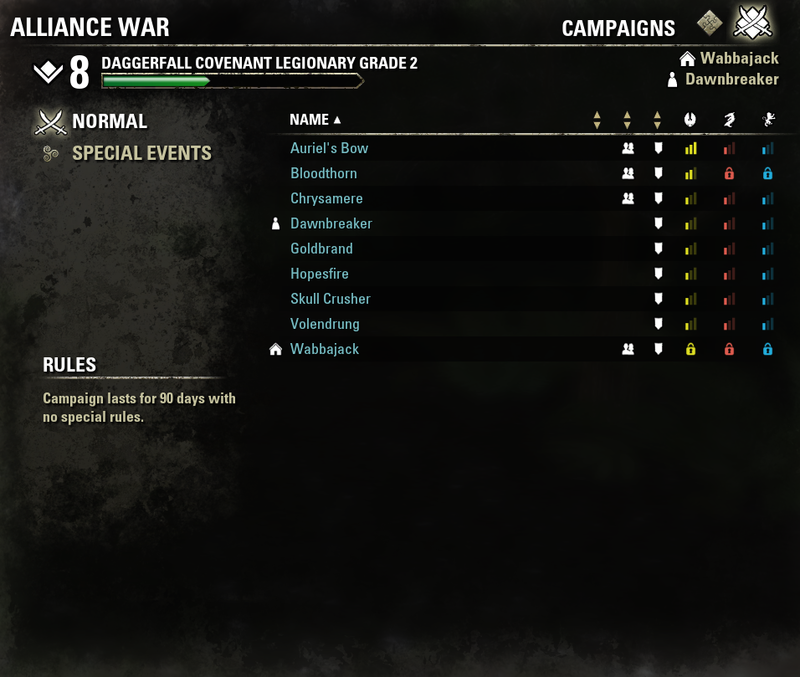 The Wabbajack campaign score as of 9 April 2014, the very first time we entered Cyrodiil. 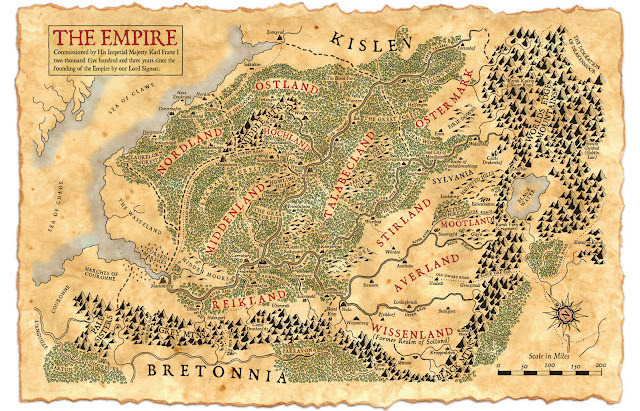 Campaign scores are evaluated on an hourly basis, with 10 points being awarded per keep, 5 points per outpost, 1 point per resource (farm, lumber mill or mine) and 25 points per Elder Scroll held. The winning faction will be the one which has the most number of points by the time the campaign duration ends, which in this screenshot will be in 78 days. Based purely on dumb luck we were able to take part in the crowning of the first ever DC Emperor. 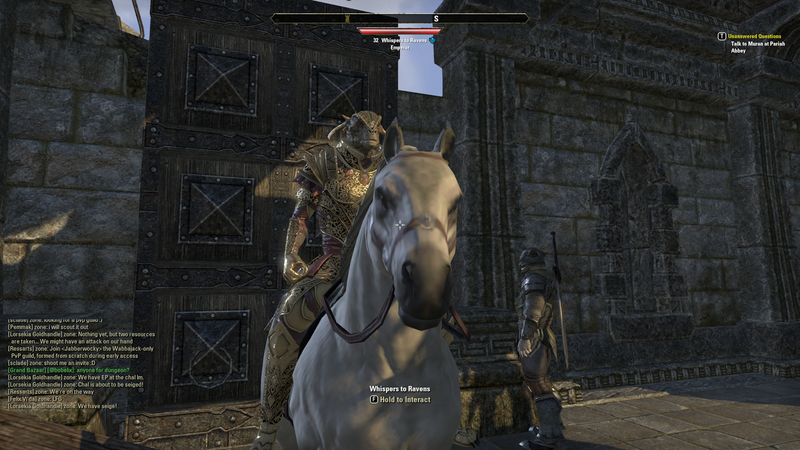 The first DC Wabbajack Emperor was Whispers to Ravens, and he was an Argonian Nightblade (NB) healer. It was a bit strange to have an Argonian become leader of a faction comprised primarily of Bretons, Orcs and Redguards, but since the disgraced leader of the Fighter's Guild in Tamriel was an Argonian named Sees All Colours, I was able to use the power of wishful thinking to believe that this was acceptable lore-wise. For me the early days of the campaign will always be associated with running with the Emperor in our midst. It was never hard to pick out Whispers – the golden armour and the big waggling reptilian tail made him stand out of the zerg. All hail Whispers to Ravens, the first ever Wabbajack Emperor of the Daggerfall Covenant! Any pretence of role-playing was destroyed by the ascension of the second DC Emperor named Johnny Hammersticks sometime during mid April. No amount of wishful thinking would make this name acceptable lore-wise, and worse, the name Johnny is irrevocably linked to The Karate Kid in my mind. Anytime I saw Hammersticks on zone chat I had to bite back the inane impulse to shout out, “Sweep the leg, Johnny!” I also saw Hammersticks talking about how large his e-peen was on chat in Rivenspire shortly after his ascension, and that for me removed any kind of budding factional loyalty I might have had for our new Emperor. 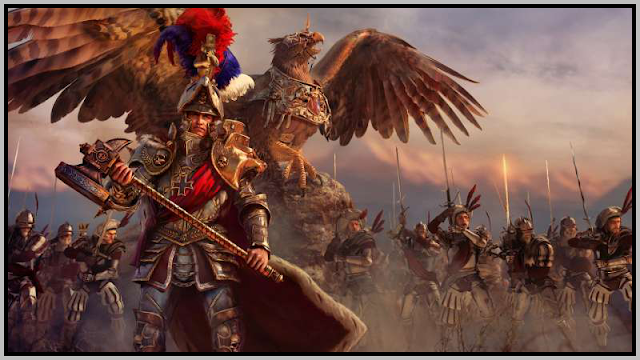 To be fair to Johnny, he was an encouraging and active Emperor in Cyrodiil zone chat during the time DC was on top. Recently, however, I have not seen hide or hair of him, and it has been up to other DC leaders like Bitaken, Reevo, Egypt, and Senior Fluffykins to organise groups and take up the slack. Regardless of my opinion of our newly minted Emperor, Hammerstick's reign coincided with a period of dominance by DC which would continue until the end of April. DC was able to keep Hammersticks on the throne for a Wabbajack record of exactly four days and 9 hours between 15 April to 19 April 2014. Unknown to most of us at this time of DC dominance, however, a major threat was looming in the east. 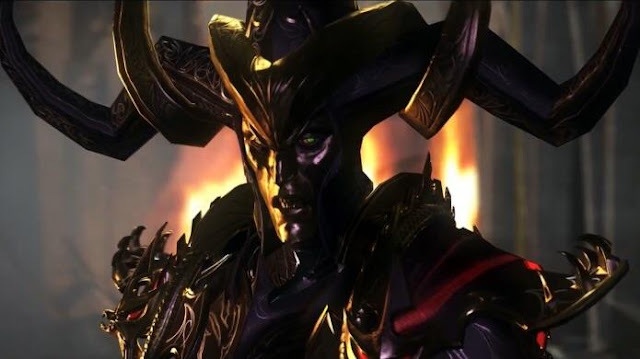 Not only would there be a veritable diaspora of EP coming to Wabbajack from other campaigns, but even more dangerous would be groups of organised leaders who would make a decisive impact on the course of the Alliance war. Hammersticks' record would be threatened by a Pact Emperor named Fixate in the following month. 15 April 2014 2059 JST (0759 EDT) at the height of Hammerstick's reign. Blue represents the Daggerfall Covenant. Red is the Ebonheart Pact, and yellow is the Altmeri Dominion. This is the best any Alliance can do in Cyrodiil - all possible keeps have been taken, and all the Elder Scrolls are in DC hands. The home bases in the corners of the map cannot be captured. But that, my friends, is a tale for another time.